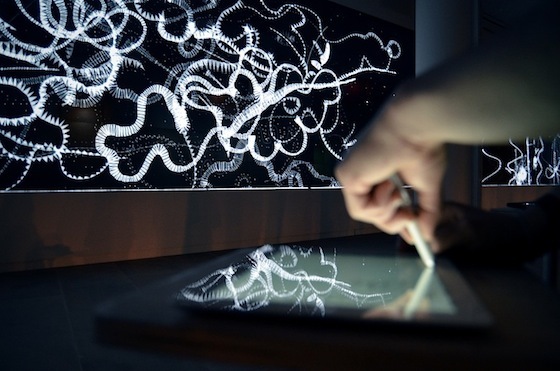 Interactive drawing performance designed for the 120 by 11 feet video wall at the InterActive Corps (IAC) building in New York, created in collaboration with DI Shin. Know more about the installation here. Out of my window, a film unlike any you have seen before. Katerina Cizek, the director, put it together over the course of years, and the award-winning film uses its novel approach to explore life, as it goes on, within highrises – the most commonly built structures during the past century. Created with 360º video and high end web technology, Out My Window brings you to 13 different locations across the globe, moving from Chicago to São Paulo, to Bangalore and Johannesburg. And the story doesn’t unfold linearly. You choose where and when you want the stories (49 in total) to begin and end. The film is better experienced than described. So my recommendation: Watch the trailer, or just jump into the interactive documentary and see for yourself.